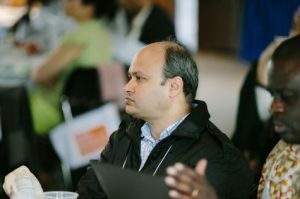 SMNLW participant Hemant Shah is Chief of Party, Technical Support Unit for CARE. He previously worked as the Director of the State reproductive, maternal, newborn, child, adolescent (RMNCH+A) unit in Bihar as well as a maternal health expert in the Integrated Family Health Initiative project and led quality improvement activities in health facilities in Bihar. H: I am heading a project in the state of Bihar in India, which is implemented by CARE India and funded by the Bill and Melinda Gates Foundation. We are providing technical support to the government of Bihar, particularly in the health and social welfare departments in two aspects: RMNCH+A health and nutrition. K: What is the biggest challenge in maternal and newborn health in your country? H: I will comment about a state in which I’m working, not the country as a whole. The biggest challenge for us is that we have a maternal mortality rate (MMR) of 208 per 100,000 live births. The neonatal mortality rate is 28 per 1,000 live births. The volume with which we are dealing is a big challenge. 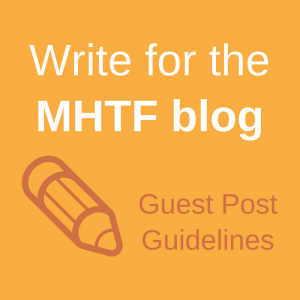 From a maternal mortality point of view, it’s estimated that there are about 6,000-7,000 maternal deaths every year. We are providing support through the state government, starting from the state level to the block level. Our work can be divided into three categories: improving quality of care in the facilities; building capacity of frontline workers to improve services at community level; and working on health system issues like supply chain management, human resources, etc. H: All leaders require different skill sets. For the work I do, technical knowledge is important, so that’s number one. The second skill is being able to bring all stakeholders together. The third characteristic of an effective leader is being able to lead from the front and take responsibility for failure instead of blaming the team members. For example, as a leader, you can assign your colleagues or team members to do advocacy with the state government. On the other side, sometimes as a leader, you might directly take responsibility and do advocacy work. Sometimes when a leader himself or herself takes a responsibility, especially on a difficult issue, it builds the confidence of the team that their leader is also ready to try his or her best to pursue the government and is part of the team. From the SDG point of view, one of the qualities required in a leader is perseverance, because achieving the goals is not going to happen in the next one or two years. If you consistently pursue the things with your all, honest efforts, sooner or later, you will get the results. H: By increasing institutional delivery alone, we cannot reduce maternal mortality and morbidity. Quality of care in the facility is a very important issue to reduce maternal mortality and morbidity and similarly, newborn mortality and morbidity. For example, we are doing a number of things to improve quality of care. One thing we are doing is increasing the capacity of auxiliary nurse midwives and nurses working in public health facilities in India. One of the problems we identified was that many of them don’t have the skills required to conduct normal deliveries or identify complications and stabilize and refer patients. The second problem we identified was delivery training. Previously, nurses and midwives would be pulled out from the facility and sent to another hospital for 21 days to be trained. Since there are very few people who are capable of conducting deliveries, many midwives or nurses who were capable of doing deliveries were never sent to the training site. So we reversed the training mechanics. We recruited senior nurses as mentors and built their capacity. Now, every month for about seven to eight months, these mentors visit the facility for one week and build the capacity of nurses and midwives working at that facility. The advantage is that they are building the capacity in the nurse and midwives’ real environment with incremental learning opportunities. What we are trying to achieve is not only knowledge and skills improvement, but also behavior change, bringing cultural change into the facility. When someone coming from outside demonstrates better practices, it gives staff the confidence and opportunity to practice. Read previous interviews in the Global Leaders in Maternal and Newborn Health series with Dr. Emmanuel Ugwa from Nigeria and Dr. Joannie Bewa from Benin. Read a summary of the Safe Mothers and Newborns Leadership Workshop from the Partnership for Maternal, Newborn & Child Health (PMNCH) website. 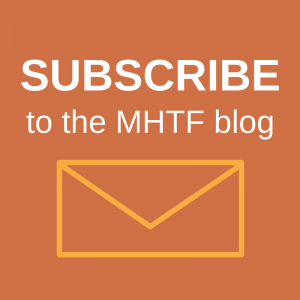 Receive the newest interviews in this series delivered to your inbox by subscribing to the MH Blog.